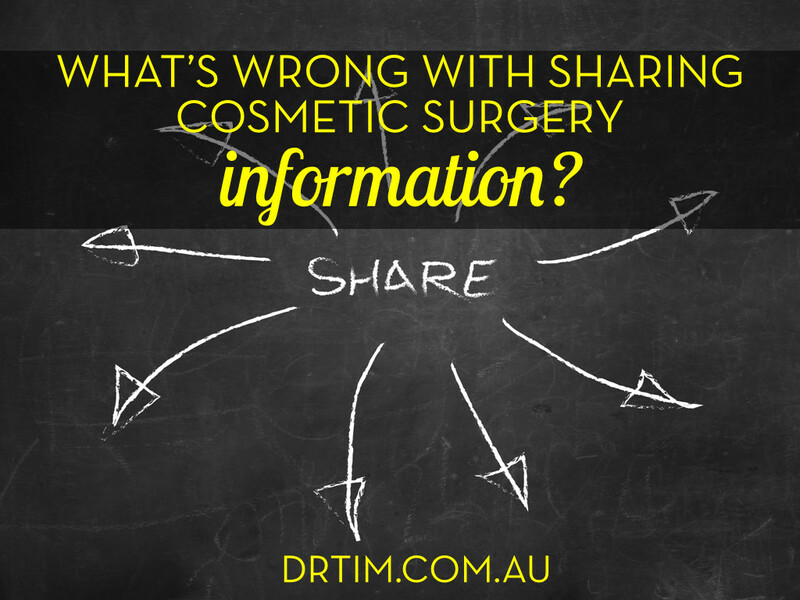 What’s wrong with sharing cosmetic surgery information? I do not want to be held responsible if the partner finds out and an argument ensues. Relationships should be built on trust and respect for each other, and that usually implies having an open and honest dialogue between two grown-up individuals. I encourage patients and clients to bring their partners in during the consultation so that he or she can understand what options are available for cosmetic surgery, including their benefits and trade-offs so that we can arrive at a reasonable informed consent. I do not want to be the last person to find out that what should have been spent on a child’s education was placed in my hands and then the partner gets annoyed or whatever. Ever thought what it would be like if you were discovered with an unexpected bruise or swelling? How would you explain that? Will you carry a guilty conscience if you didn’t tell your partner? I simply want every patient or client to know that I support cosmetic surgery or non-surgical procedures for enhancing people’s looks but I encourage an open and sharing relationship with one’s significant other about such things. After all, we are grown-up individuals and should not withhold information from a person that probably should know what we are doing. If you have questions, please bring them up with your plastic surgeon during the consultation. In the end, the decision to tell your partner, friends or family is a very personal one that largely depends on you and your relationships. For most of our patients, we find the question of telling their partners, friends or family is very simple and they find that the added support helps in making the entire process easier. Occasionally, however we have some patients who feel that they have a partner, family or friends who simply will not accept their decision to proceed with surgery. Occasionally, these patients want to remove some family-defining characteristic, such as a nasal hump that they feel their family would want them to keep. For other patients, especially those who are still in school, we will wait to have surgery over the winter or summer break so that changes are not quite so obvious to classmates. Overall, however we have found that the social stigma that used to be associated with cosmetic surgery is no longer really an issue and, in general, when our patients discuss their reasons for wantng to pursue surgery, their partners, families and friends are generally much more supportive throughout the process than you may otherwise expect. In those cases, when our patients are from out of town or when they do not have support, it is important to have a comprehensive team and program to help take care of all your postoperative needs and to make you feel comfortable every step of the way. Ultimately, the choice to have surgery should be yours alone. So, you can consider what others will think, but you should do what will make you most happy. Often, involving loved ones can make for a very positive experience. More information is available on our website www.drtim.com.au , including descriptions of cosmetic surgery and non-surgical procedures. You can also email us for more information at info@drtim.com.au or call us on 13000DRTIM. Question: Do you think your partner, family or friends can be supportive of cosmetic surgery or it doesn’t really matter because the choice is yours? You can leave a comment below.